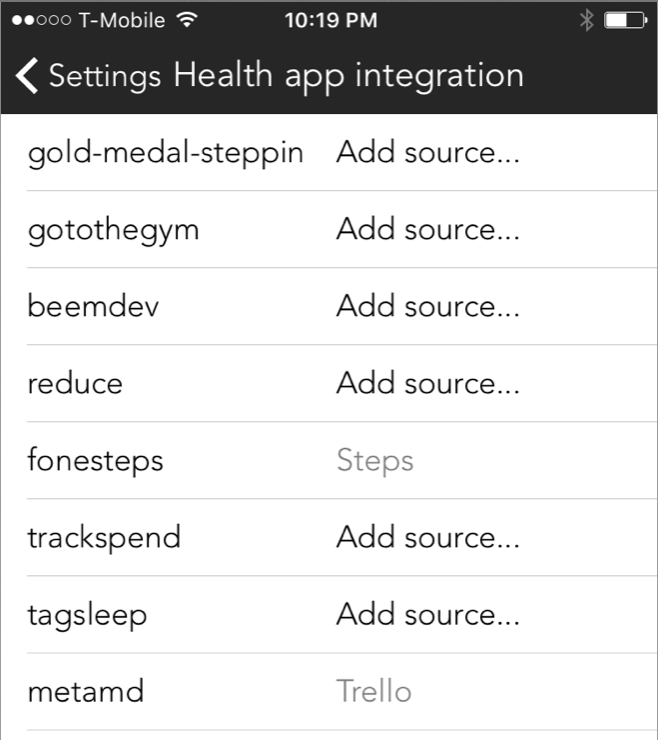 What can I beemind with Apple Health? My Apple Health data has not synced for multiple days. 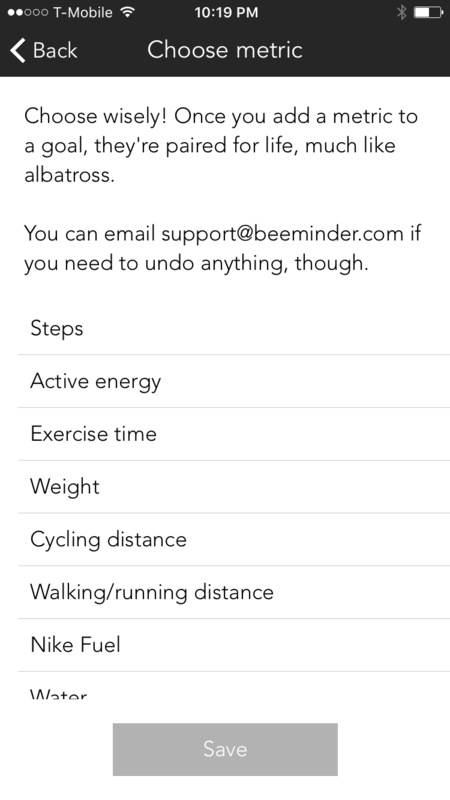 Try logging out of and back into the Beeminder app to kickstart the sync process. If that doesn't work, try uninstalling and reinstalling the app. If that still has not done the trick, please contact support! Beeminder will import the last week of available data when Apple Health is connected, which will overwrite your existing data and may derail your goal. Please contact support if that happens! Once you've created your Do More goal, open the Beeminder iOS app and tap the ⚙ to open the app Settings. 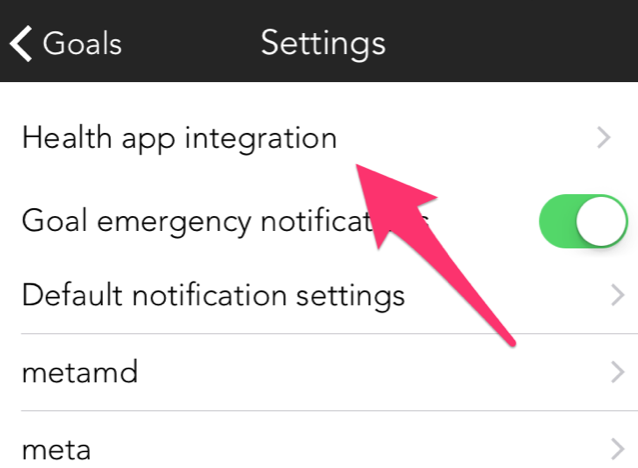 Tap Health app integration to open the integration menu. Find the goal you want to add Apple Health data to and tap its name. You should see a list of the available Apple Health metrics. Tap one metric one time to pair it. Press Save and you're done!